Dr Dre and Truly Young attend 'The Defiant Ones' special screening on March 15, 2018 in London, United Kingdom. Looks like the doctor got ahead of himself. 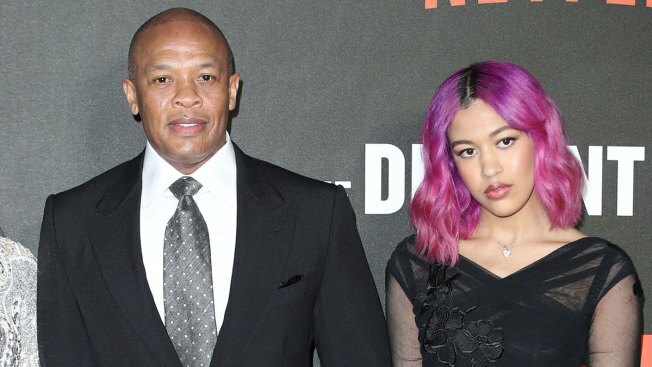 Hip Hop mogul Dr. Dre took to Instagram to celebrate his 18-year-old daughter Truly Young's recent admission into the University of Southern California. He also took a shot at other parents caught up in the alleged college admissions bribery scandal, which has ensnared celebrities like Felicity Huffman and Lori Loughlin. “My daughter got accepted into USC all on her own. No jail time!! !” Dr. Dre wrote. But the post was slammed by many pointing out he, along with fellow music mogul Jimmy Iovine, gave $70 million to USC in 2013 to establish the USC Jimmy Iovine and Andre Young Academy for Arts, Technology and the Business of Innovation. The post, since deleted, showed Dr. Dre posing with Truly as she holds her certificate of admission and an “Experience USC” pamphlet.